Attorney General says Jews living in Judea, Samaria should not be allowed to find out who owns neighboring land. Jews living east of the 1949 armistice line may be denied access to land records. 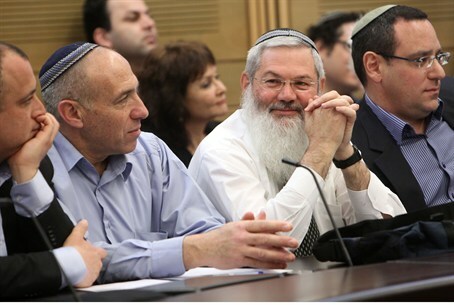 In a move that has caused upset in Knesset, Attorney General Yehuda Weinstein is seeking to bar Israelis living north of Jerusalem from finding out who owns neighboring land. The controversy began when a group of residents from the Israeli Jewish community of Psagot, in the Binyamin region, asked to see the land registry (Tabu) in order to find out who owns the land nearby. The community is interested in expanding, and would like to purchase nearby tracts of land. However, in light of past cases in which Jews purchased land in Judea and Samaria (Shomron) from Arabs, only to have other Arabs appear and claim to be the real owners, Psagot residents were cautious. They want to be sure that any land they buy will be purchased from the real owner – and that imposters will not later be able to claim ownership. Their request for information was permitted by the Jerusalem District Court under the Freedom of Information law. However, Weinstein then announced plans to appeal the court’s ruling at the Supreme Court. He argues that the Freedom of Information law should not apply due to the sensitive nature of land purchases in Judea and Samaria. The growth of Israeli communities in the region is widely termed “settlement expansion” in the international community, and is frequently criticized by the United States and Europe as unhelpful to diplomatic talks between Israel and the Palestinian Authority. Yogev criticized Weinstein’s apparent concern with international politics, rather than with the growth of towns like Psagot. “It seems that the Attorney-General, too, is missing the awareness that the land of Israel belongs to the people of Israel,” he said.